With over 15 years of experience in the communications field, Angela Walters is currently the Strategic Communications Officer at Hillsborough Community College. In this position, she develops marketing and public relations strategies for the college, which serves over 45,000 students, while also strengthening community relationships and managing the dissemination of information among five campuses and three satellite centers. Previously, Walters was the online communities specialist at Everest University Online where she fostered the development of an online student community by overseeing communications and social media. She jump started her career as a Marketing Manager at the Museum of Science and Industry (MOSI), handling promotions, advertising and community relations. Walters holds a Bachelor of Science in Public Relations with a minor in Business Administration from the University of Florida, a Master of Business Administration from the University of South Florida and an Accreditation in Public Relations. 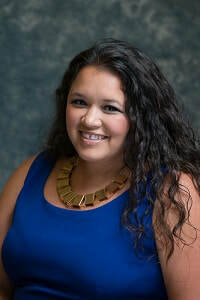 Always the constant volunteer, she has served as the 2017 Public Relations Society of America (PRSA) District Council chair-elect, 2016 PRSA Sunshine District Chair, 2015-2014 PRSA Sunshine District executive officer, 2012 Public Relations Society of America (PRSA) Tampa Bay chapter president and has held several chapter leadership positions including treasurer and secretary.